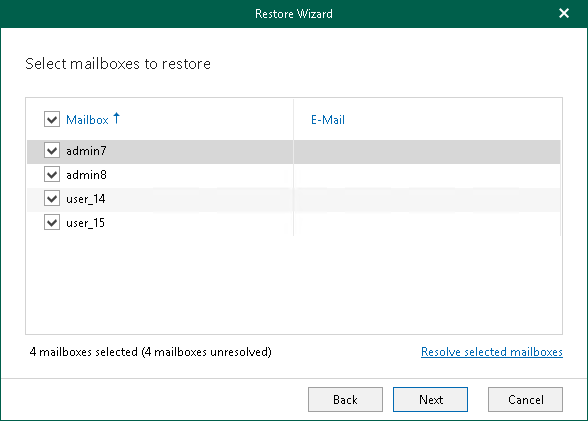 At this step of the wizard, select mailboxes you want to restore. To see the corresponding email addresses for each selected mailbox in the list, click Resolve selected mailboxes. To access Active Directory, the account you are using must be included to the domain Administrators or Organization Management group. If the account you are using is a member of the Authenticated Users group but the Read permission has not been granted, then such an account will not be able to properly handle Exchange system mailboxes restore.